White as snow and the top of every sneaker aficionado’s Christmas list this winter, Dutch brand ETQ are the masters of the simplistic, minimalist shoe — and now you have the chance to win a pair for yourself. On the fifth day of the Gentleman’s Journal Advent Calendar, we’ve partnered with the footwear brand to give away a pair of their LT 01 sneakers in white. One of their most popular models, ETQ have created an elegant and timeless shoe with soft white leather and classic rubber cupsole. They’re sturdy. They’re simple. They’re stylish. Lined with full calf leather and insole to provide support and comfort, win today and these will be your go-to trainers for the year to come, and beyond. What are you waiting for? 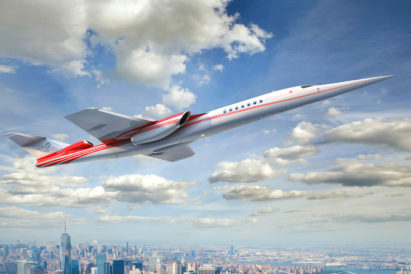 With the AS2 Supersonic jet, Aerion have introduced a quantum leap in speed capability — over land, the jet cruises efficiently at Mach 0.95, faster than any jet today, and without producing a sonic boom.